One of the fun things about having a web site is seeing where the traffic comes from. I see a few regulars here, I get used to seeing your ISP showing up (you know who you are and I know your at work). I kinda wonder who you regulars are what is it that keeps you coming back, but your here and that's cool. I write to see what will come out, I usually don't know what to expect when I start. I figure you feel the same way. I find it amusing and flattering that you enjoy it enough to come back. Hi, Welcome! Being a newbie to diabetes is tough. I hope you get that you should laugh and I hope the site helps you do that. I know it hard to laugh as a newbie. No you're not going to end up as goofy as I am, I was silly before my kids were diagnosed. Congratulations. A few lows a week means you are aggressively trying to be in range. As long as you can feel the lows, and you are not going real low, you are just fine. If you don't see any lows in a week my bet is your average is too high. That said - YDMV. Talk to your doctor for real medical advice. Don't trust your health to web pages, particularly mine. I'm a nut case. Oh crap, Sea World is tracking me down! I hope it isn't about the letter I sent to Mr. Bud. Hey Brensdad - love ya man, and your dad too. Here's to both of you and to your health! Cheers. Dude you are way lost. I barely understand American Culture. 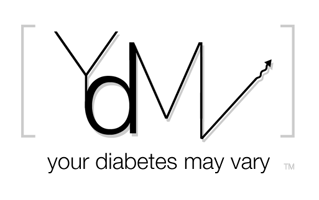 I have a lot of respect for everyone who is working to manage diabetes. I was particularly impressed with the folks who came over from UAE to attend Children With Diabetes, Friends For Life. They came to Florida, out of their care for diabetes management, where they ran smack into a bunch of goofy Americans like me. Talk about a shock. I found they were wonderful, dedicated, caring people. I hope they found the same about us. Maybe it isn't such a culture shock after all. Update: So much for kissing, check out DiabetesMine. Don't tell my wife you can catch diabetes by kissing a diabetic! because I find your viewpoint, mixed with humor, refreshing and entertaining...oh, and I guess educational! I found you from Children with Diabetes, have explored the Bad Shoes, and check into your blog pretty regularly.